✔Blueteeth Technology: Support A2DP/AVRCP, TF Card, Line-In Function, Compatible with all the blueteeth enable device. ✔Best gift for kids! Lover ones! colleague! 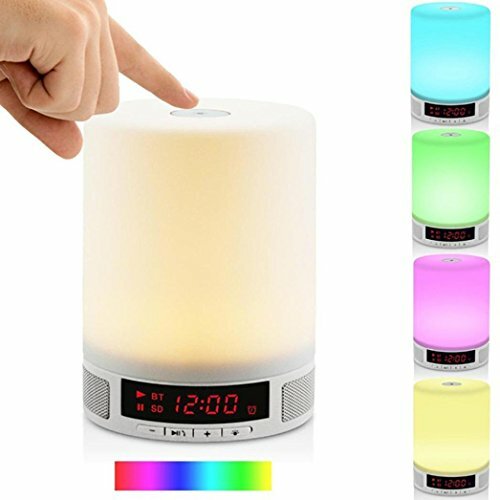 Novel night light beside your bed! Blueteeth connectivity, pairing simple. Faster transmission speed, transmission distance farther, faster matching speeds, lower power consumption.